An Angel Halo with a white feather halo on a white plastic headband. The perfect finishing touch for any Angel Costume and ideal for Christmas. 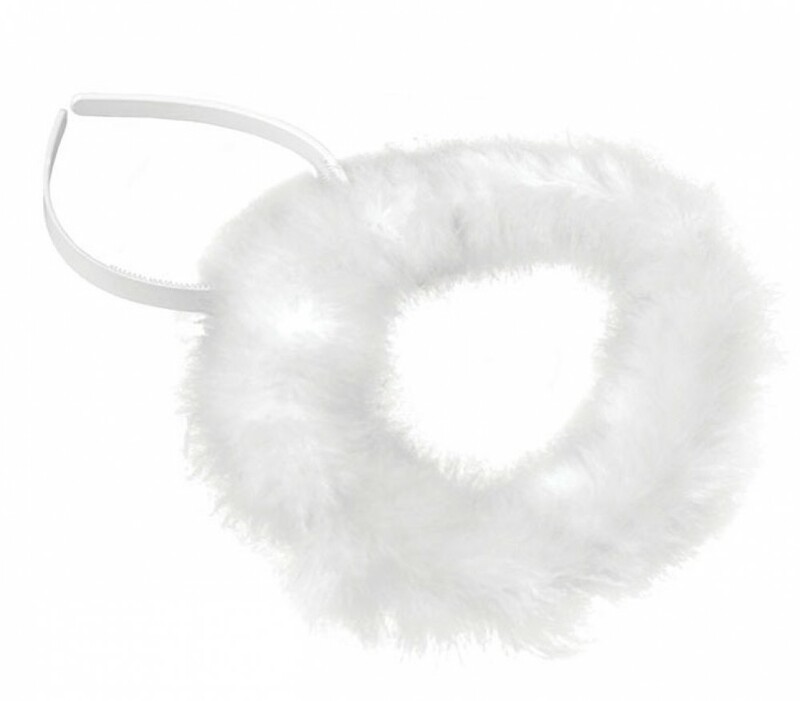 This Angel Halo is the perfect addition to an Angel Costume, fun for Christmas time or just for a ‘good’ girl’s night out! The Halo has a white feather design which is fixed onto a hard white plastic headband. The Halo is wired to ensure a perfect round shape and measures approximately 7” across. A classic Angel Halo to complete your look!